One of the biggest struggles I have in life is comparing myself to others, whether that be comparing looks, talents, abilities, personalities, or other things. And unfortunately, I struggle with comparing my writing, too. I think a lot of writers do. 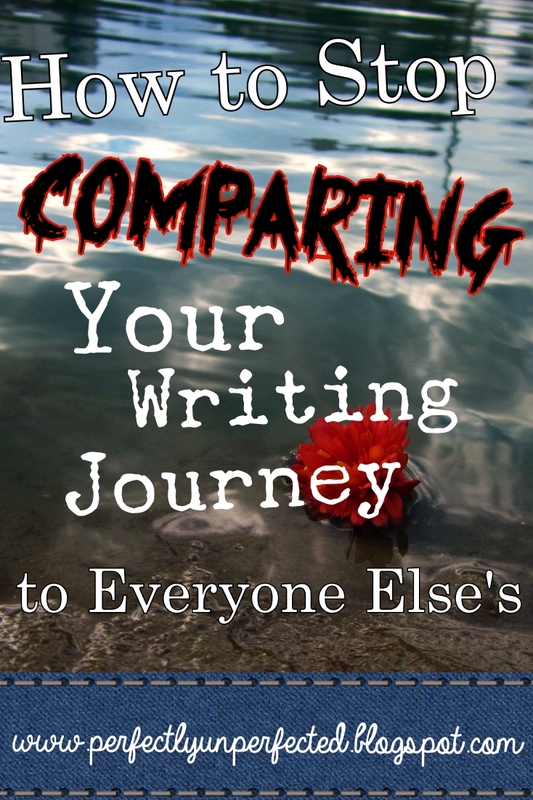 There are endless ways to compare your writing to that of someone else. You could compare your talent to theirs, your originality to theirs, your characters, your plotline, and especially your place in your writing journey. I'm sure most of you have had a moment where you've been perfectly content with where you're at in your writing journey, until all of a sudden someone who's younger than you or your age comes along and is waaaaay further along than you are. Maybe they're submitting to agents while you're just plotting. Maybe they're already getting published and you've only just finished your first draft. Ever been there? I know I have! 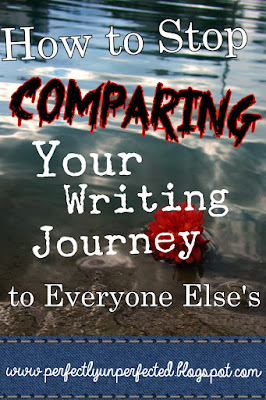 Comparison is a huge problems for writers simply because the result of doing it can be really debilitating. You can feel discouraged, frustrated, hopeless, and you may even experience a huge lack of motivation to write. Luckily, comparison is not a bottomless pit! If you fall in, you can definitely get yourself out. 1. Take a breath. If you're like me, then it doesn't take much to get you worked up. When I compare my writing to someone else's and start feeling discouraged, I pause and take a deep breath. Remind yourself that everyone's writing journey is different, and that you're on your own path. Just because someone else is further ahead in writing than you does not mean you'll never reach the finish line. 2. Fight off bad thoughts. Why is her book so much better than mine? How did he already find an agent? Why can't I be that good at writing queries? Nope! Stop it right there. These thoughts aren't going to do anything but drag you down. Though fighting them and ignoring them can be difficult, replacing them with better thoughts can help. When you start thinking like this, stop yourself and read a part of your book your really love. If you've ever gotten any positive comments on writing you've posted online, read them. Fill your head with positive things! 3. Compliment the other writer. Sometimes when we see someone else who is better or further along than us, it can lead to feeling bitter or angry. I know I've definitely experienced that firsthand. But instead of focusing on your jealousy or bitterness, turn your thoughts around and instead compliment the writer you're comparing yourself to! And I don't mean just a mental compliment, either. I mean go on and e-mail them, text them, leave a comment on their blog, review their book online, etc. Give them a real compliment that they can actually read. It's amazing how much better you'll feel after letting all that bitterness and jealousy go! 4. Use your frustration as motivation. So another writer is further along in their journey than you. Maybe they're getting published or finishing their final draft. Whatever it is, you're jealous and frustrated. Don't let that sit and turn into a lack of motivation to write. Instead, use it as motivation to write! After all, you'll only get as far in writing as you make yourself go. If you stop working on your book because you're discouraged by someone else, they'll keep succeeding while you fail. Don't let yourself fail! Use another person's success as inspiration and motivation, and get yourself writing. AWWWW. Welp. You just made my whole day. Thank you! I'm so glad I've been able to inspire you! That is absolutely incredible that you've written 400 pages! Seriously, you should be so proud of yourself. And I'm so glad you like my writing! I'm currently switching my first book over to dual point-of-view rather than a single POV, so keep an eye out for any samples or chapters on Wattpad. :) Thanks again! Keep writing! Sooooo needed to hear this! :) I can relate--thank you for sharing!